What is a catch-all email? If you have used MailboxValidator’s email validation service before, you would have noticed a result field called is_catchall which states if the email address being validated is a catch-all email or not. So, you might be wondering what is a catch-all email? Is it a good thing or a bad thing if an email address on your mailing list is classified as a catch-all? 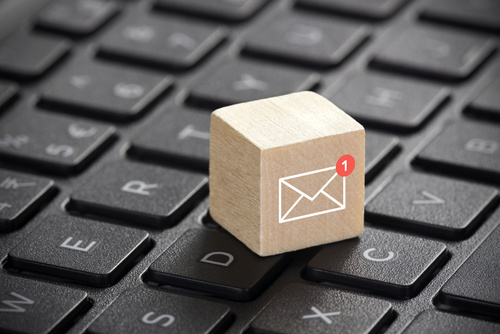 The catch-all email started as a way to redirect any emails addressed to a non-existent user on a particular domain to a generic address instead of telling the sender that they have the wrong email address. This can be useful as the mail server administrator can still retrieve the email and forward it to the correct recipient manually especially in cases where the sender mistyped the recipient email address. Unfortunately, all good things can be perverted and the catch-all email address has now become the recipient of spams. Spammer no longer have to guess which usernames are valid. They just simply send their spams to a random username on that domain. What do I if I have a catch-all email in my mailing list? When someone has signed up for your mailing list using a catch-all email, there is no way to check if that email address actually exists as the recipient mail server will accept any emails sent to any address on that domain. The best way is to practice double opt-in and make the recipient verify that they can receive your email before allowing them to do anything on your website. Do not send them any email other than the verification email until they are verified. This is to prevent you from being marked a spammer as some mail servers may use catch-all as a form of spam filtering. There is no reason to panic if you end up with some catch-all email addresses on your mailing list. As mentioned above, just practice double opt-in and as long as the recipient can actually receive your emails then you’re in business. On the other hand, if they did not verify that they can receive your emails then you should keep them out of your mailing list.